As co-chair of the Wine Media Guild I go to Felidia Restaurant often because we hold our monthly lunches and tastings there. 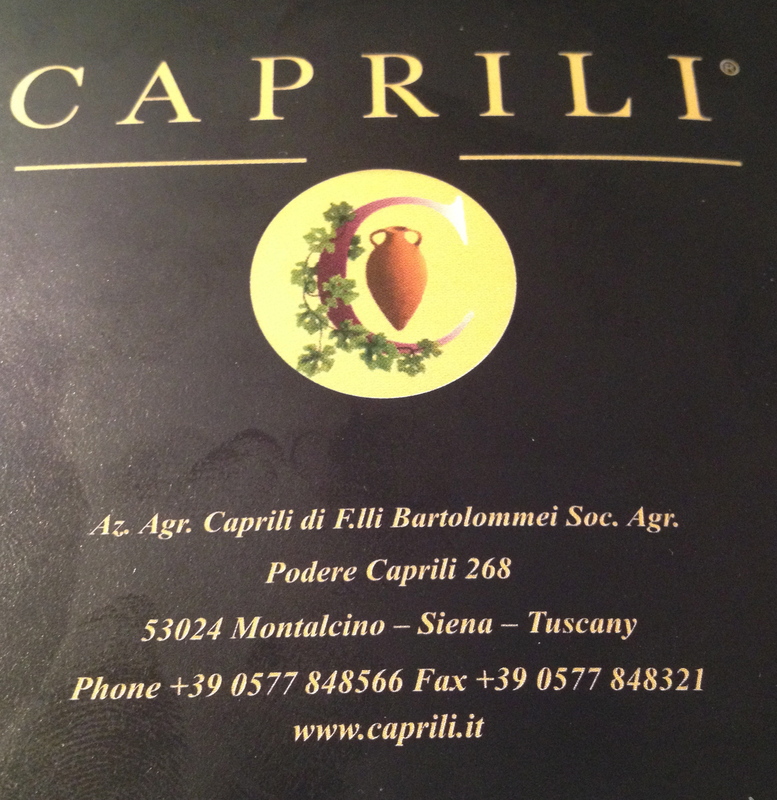 This time however I was invited by the Wine Director of the restaurant, Giuseppe Rosati, for a tasting and lunch featuring the wines of the Carpili winery in Montalcino in Tuscany. 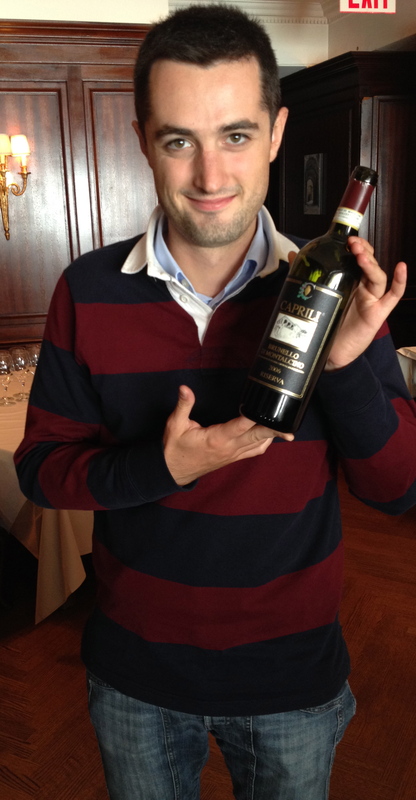 The speaker was Giacomo Bartolommei a member of the family that owns the winery and the sales manager. Giacomo told us a little of the history of the winery that was established in 1965 and their philosophy of making wine. The Carpili estate is located in the southwest part of the municipality of Montalcino. Because of this location and the clones that they first planted in1965, the vines show great resistance to heat and disease. They only use grapes from their own vineyards and the only treatments used are copper or sulphur based. The natural yeasts, found on the grapes themselves, is favored. Terroir is very important and the use of natural yeasts contributes to a more precise territorial identity. Vinification follows a natural process avoiding the addition of yeast and other exogenous correctors. The Rosso and the Brunello are all aged in large 22 to 63 HL Slovenian oak barrels. After 15 years of age the vines that make the Rosso can be used for Brunello. In response to a question about vintages, Giacomo said that 08,06,04,01, 99,95 90,88 and 85 were all great vintages for his wines. Of the vintages that we tasted I believe his favorite was the 2004. The wines were paired with dishes prepare by the executive chef of Felidia restaurant, Fortunato Nicotra, and each was a perfect match. 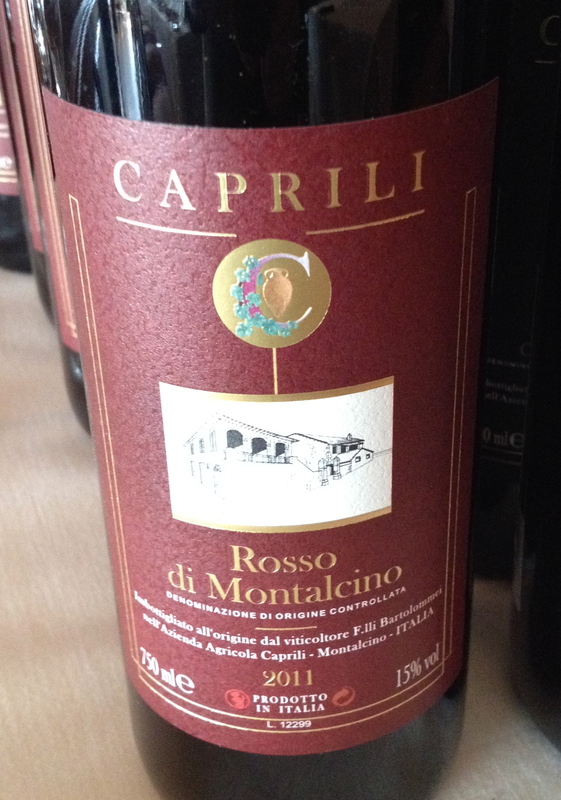 Rosso di Montalcino 2011 100% Sangiovese Grosso. The grapes come from the Testucchiaia vineyard, which was planted in 2001. The vineyard is at 335 meters, there are 4,000 vines per hectare and the training system is runner and guyot. Vilification is with natural yeasts, followed by maceration for about 25 days, with automatic temperature checks. The wine is aged in large Slavonia oak barrels (botti) for a short period of time and in bottle before release. $28. This was served with a rabbit and vegetable terrine with Castelluccio lentils. 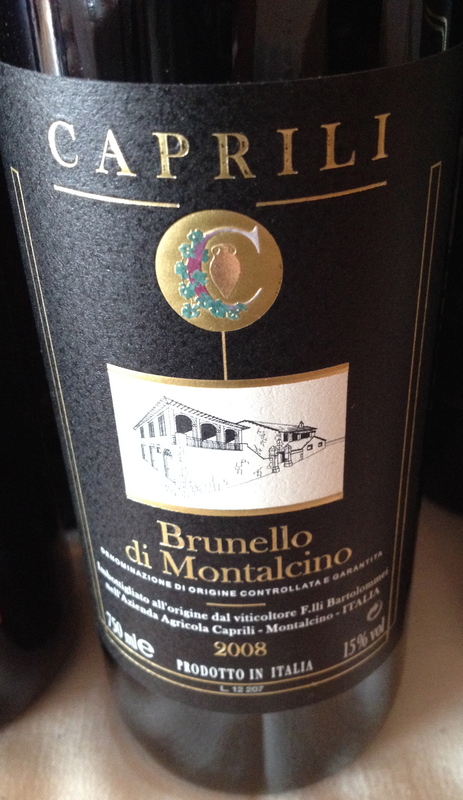 Brunello Brunello Di Montalcino 2008 100% Sangiovese Grosso from 4 different vineyards that are between 15 and 25 years of age. The training system is the runner. The wine is aged for at least 3 years is Slavonia oak barrels and a minimum of 4 months in bottle before release. 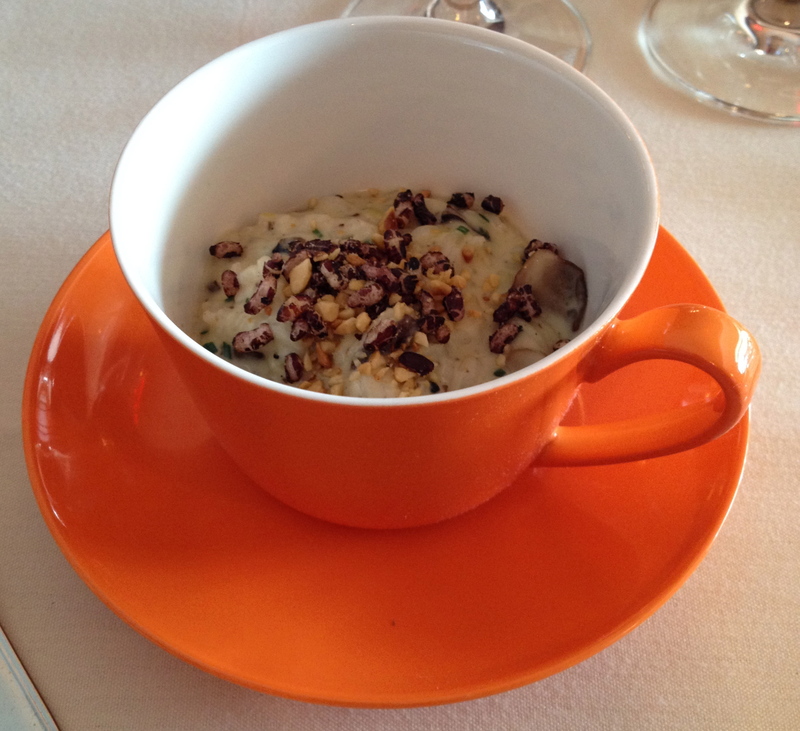 The two Brunellos were paired creamy risotto with mushrooms, hazelnuts and black truffle pesto. The wine is aged in Slavonian oak barrels for at least 4 years and in bottle for a minimum of 6 months before release. This wine was served with steak tagliata, summer beans, corn and red quinoa. 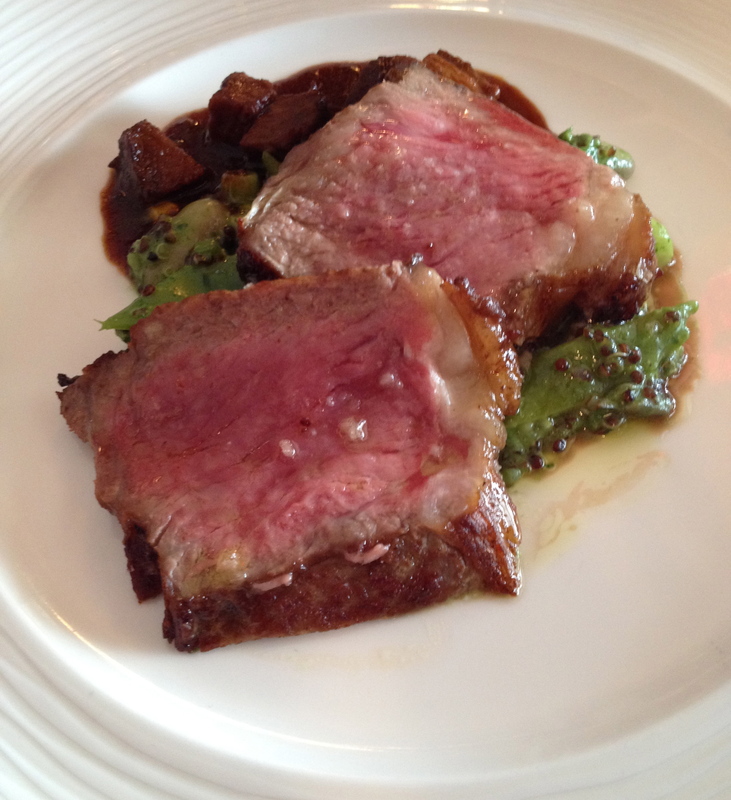 The chef explained that he cooked the steak in three separate steps to preserve the juices. This was perfection! When in Tuscany do what the Tuscans do – drink Sangiovese with steak- the perfect combination. 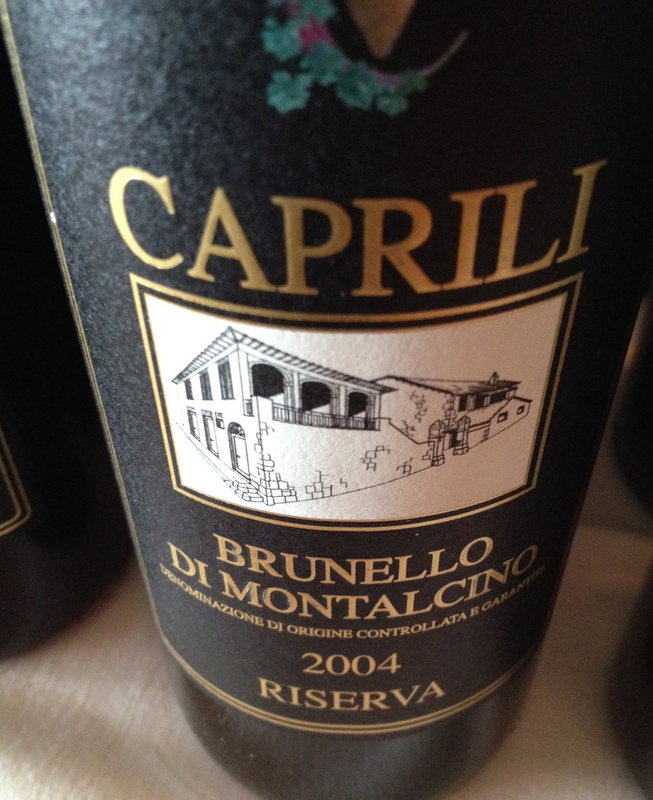 Brunello di Montalcino 2001 Riserva same as above. The last two wines were served with an assortment of Tuscan cheeses. All of the wines had very nice fruit with a characteristic hint of cherry. These are traditional, classic, wines that need time to develop. The 2004 Riserva still needs more time but the 2001 Riserva was just starting to come around.